12 days from £5710pp plus international flights. An exciting Ecuador holiday taking in the diversity of this charming country, from cloudforest to Andes to the Galapagos Islands. 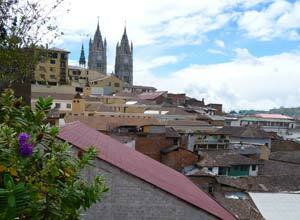 You'll get a real feeling for authentic Ecuador on this trip. 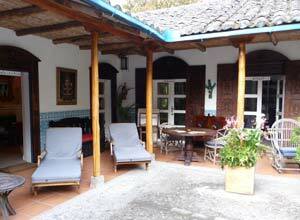 From Quito you travel into the Ecuadorian highlands, staying in a charming hacienda near Otavalo. You'll visit the town on market day, which is a lively and colourful sight. This is a great opportunity to mingle with the local people and maybe pick up some gifts and souvenirs. Back at the hacienda there's a full day to relax and revel in the mountain scenery, maybe strolling in the gardens or for the more energetic taking a hike in the hills or exploring by bike. From here you travel to the cloudforest with time to explore this fascinating environment with your personal naturalist guide or at your leisure on the miles of trails. Horse riding is another excellent way to explore this area. 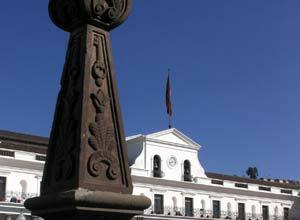 Head back to Quito and get to know the city better with a guided tour of the main highlights. 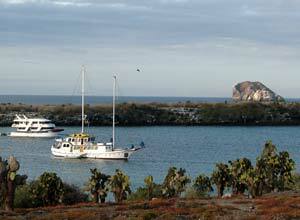 Next you fly from the mainland to the famous Galapagos Islands. 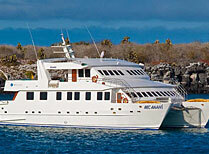 You have a 5 day cruise on the Anahi, taking in several islands. You'll have your own guide, an expert on the flora and fauna of the islands, to help you make the most of your time here. 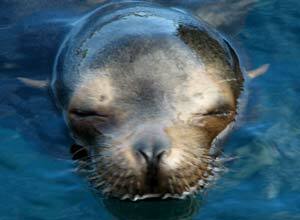 There'll also be time to relax on board and go swimming in the sea - perhaps alongside curious sealions! Hacienda Cusin in Otavalo is a great place with an organic veggie garden (which you will definitely taste the produce of!) 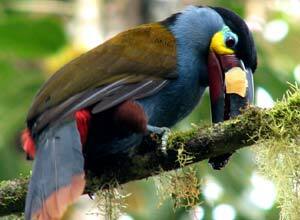 and they strongly back conservation of Intag cloudforest. Their efforts in environmental sustainability have been rewarded by Rainforest Alliance as they are Smart Voyager certified. So you're staying with some good people! Your yacht, the Anahi, is also Smart Voyager certified, this time for their care of the flora, fauna and inhabitants of the Galapagos Islands. So you can rest assured that your visit to the islands will have minimal impact and hopefully bring some benefit instead. For all wildlife and nature lovers like you, our many other travellers and us, it means a lot that we are not adding to the issues faced by this most sensitive of unique ecosystems. Arrive at Quito airport where you will be met and transferred to your hotel. The rest of the day is at your leisure. 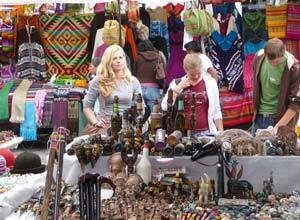 Depart Quito with your driver guide for Otavalo where you have a guided tour. This small town in the highlands of northern Ecuador is surrounded by huge volcanoes, but its main attraction is the market and today is market day! You'll have lunch before checking into your hotel for a two night stay. Free day. Your 17th century hacienda is set in 7 acres of lush gardens with many species of orchids and over 50 species of birds - all yours to explore. 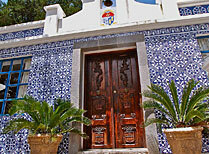 The hacienda offers a variety of activities including hiking, climbing, mountain biking and horse riding. It is also possible to visit local villages. Transfer from the hacienda to Bellavista Cloudforest Lodge which is about 3 hours drive. 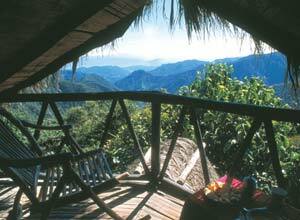 The lodge is in a private reserve formed by sharp and deeply forested mountains, descending to gorges with rushing waterfalls and streams. A free day at Bellavista. The lodge has resident naturalist / birder guides who accompany guests in their exploration of some of the 8 miles of trails around the lodge. There is a self-guided trail if you prefer to explore on your own, and hiking the roads through the reserve is also a good way to spot the wildlife. Horse riding is also offered, from short rides around the lodge to full day rides. The morning is free at Bellavista for further exploration. In the afternoon we take you back to your Quito hotel. 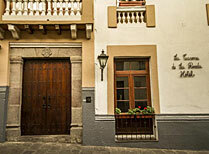 This morning you have a guided tour of Quito's old and new towns. The city's colonial past is very much in evidence and as it is now a Unesco world cultural heritage site, new building is very restricted. In the afternoon you are free to wander the streets and plazas, and simply enjoy the vast array of shops and restaurants and cafes. Today you fly from Quito to Baltra in the Galapagos. It is about a 4 hour flight. On arrival you will be transferred to your yacht, the Anahi. She is a fast, comfortable catamaran with en-suite accommodation for up to 16 passengers. This afternoon we will visit Bachas Beach in Santa Cruz. Your Galapagos adventure starts here! Today you will visit Genovesa island to see Darwin Bay and Prince Philips Steps. Genovesa is particularly known for its large colony of red-footed boobies, but it also has a lot of the gorgeous red-throated frigatebirds, lava gulls and many more species. It one of the most northerly islands in the archipelago. Today we visit the islands of South Plaza and Santa Fe. South Plaza was formed by uplifted lava and is like a huge tilted plate with one side dipping into the water. It has tall tree-like opuntia cactus, plus land iguanas, sealions, swallow-tailed gulls and red-billed tropic birds. Santa Fe has a well-protected cove with a white sandy beach and blue waters - wonderful for swimming and snorkelling! Often curious sealions come swimming with us too. You have reached San Cristobal island and we will head for the visitor sites of Punta Pitt and Kicker Rock. Kicker Rock is a dramatic marine site with two sheer rocks jutting from the sea. Birds such as frigatebirds, boobies and tropicbirds fill the air all around us, and tropical fish swarm below. It's quite a sight. 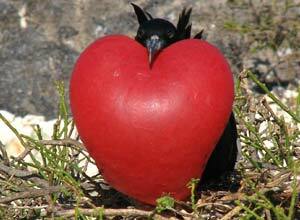 Punta Pitt is the eastern-most site in the Galapagos and special because of having all three types of boobie in the one place. This morning we visit the Interpretation Centre on San Cristobal before heading for the airport and your flight to Guayaquil. This exciting trip ends on arrival at Guayaquil airport. Transfers, ground transport, meals as specified, guide at Otavalo, in the cloudforest, on the cruise and for the Quito city tour, Quito-Galapagos-Guayaquil flight. International flights, departure taxes, visas, travel insurance, meals not specified, drinks, Galapagos National Park tax and transit card currently US$110 but subject to change and payable locally is US$. "The holiday starts in Quito and ends in Guayaquil. Flight from the UK will start from about £675. Departure dates: This trip is based on travelling with a specific yacht called Anahi. This means that the trip needs to start on a Friday. However if you decide to use a different yacht that starting day might well be different. 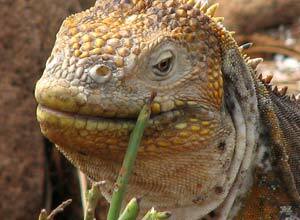 If you are a wildlife lover there is no doubt that the Galapagos Islands are a very special place to visit. With such a list of rare and unique species, and the lack of fear shown by the wildlife, it is truly an incredible experience. But don't just take our word for it! Cloud cover frequently shrouds these forests, with their moss-clad trees and branches hanging with old man’s beard. It’s great for bird watching and there are chances for ziplining and tubing. 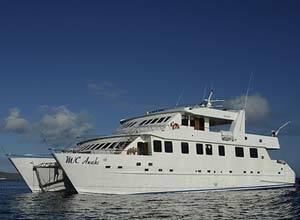 Anahi is a comfortable, modern motor catamaran offering cabins and suites and with a comprehensive Galapagos cruise itinerary. 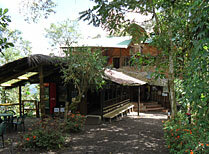 A fabulous spot in the cloudforest two hours north of Quito. 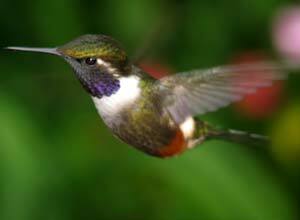 Excellent birding, natural history and eco-adventure.